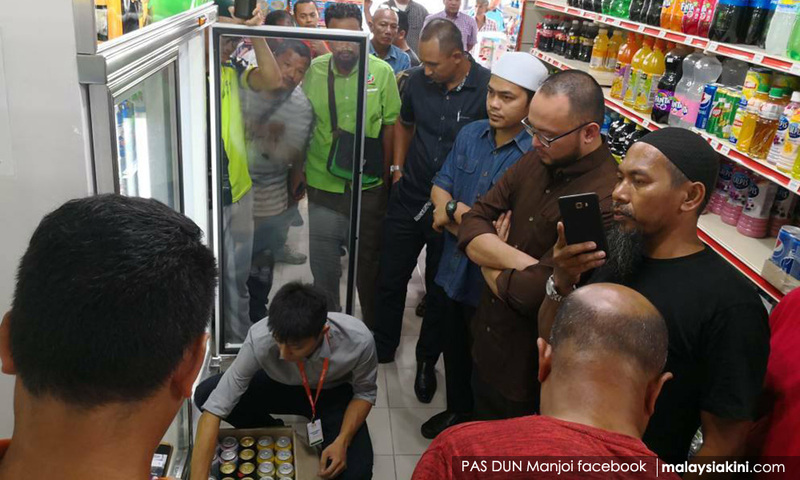 COMMENT | We have lived with Najib Abdul Razak's reign of terror for almost a decade, and that is why the video clip of men from a Muslim NGO, forcing a shop assistant, in a store in Manjoi, to empty a liquor cabinet, fills us with dread. This incident reminds us of the bad old days of the Red Shirts and their leader, Jamal Yunos. Ahmad Faizal's meek reprimand will not stop these thugs, who have long believed that they are the master race. In the video, you can hear them issue threats to smash the bottles of alcohol, if they were not removed. Ahmad Faizal (photo) reminded the NGO to lodge a complaint with the government about their concerns. A reminder? He does not inspire us with confidence. His actions will fail to reassure the business community. It is time to disband all of the instruments of oppression of the rakyat, that were promoted by Umno-Baru, including Jamal Yunos' Red Shirts and the NGOs that terrorise shopkeepers, businesses and newspapers in Malaysia. The hallmark of the Red Shirts, is the use of violence and threats. They are usually "commissioned" by Umno-Baru to cause havoc. People who are vegetarians do not force shopkeepers to remove cans of Corned Beef, Spam or Serunding because it irritates them. People who abhor fast food cannot demand the counter staff to tip the contents of the oven into the bin, because the food is unhealthy. No-one should be allowed to walk brazenly into a shop and demand that the shopkeeper removes his stock. Try doing that in Tesco or Giant. You'd be marched out of the premises and prevented from returning. 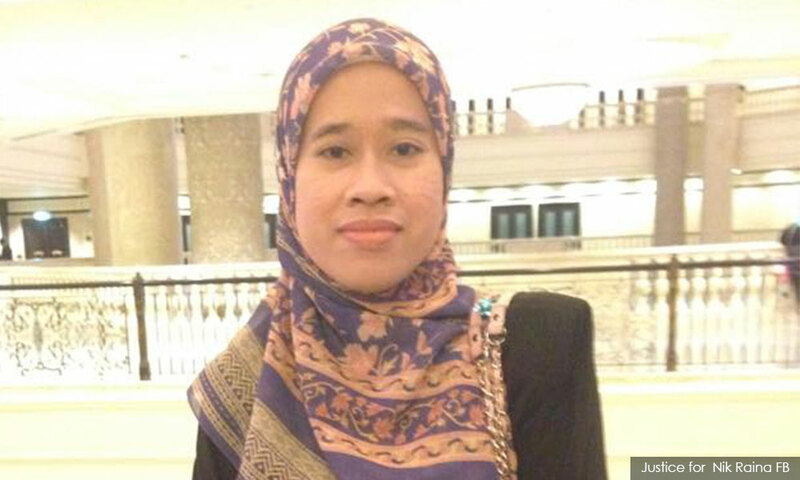 In 2012, Nik Raina Nik Abdul Aziz (photo), was harassed by the Federal Territory Islamic Affairs Department (Jawi). They targeted a woman, because it was easy. They did not dare aim for Vincent Tan, the boss of the Borders chain. Nik Raina was an employee. She has nothing to do with the stocking and purchase of the book, which upset Jawi. The book by Canadian Muslim and lesbian author, Irshad Manji, was called "Allah, Liberty and Love". What other reasons may have prompted the Manjoi incident? Is there a Malay/Muslim trader who wants to get rid of the competition, make his regular customers afraid and hound him out of business, so that he can take over the shop? Is this part of the grand design of Umno-Baru, post GE-14, to stir-up trouble, destabilise the newly formed state government, and topple it for Umno-Baru's return to power? When the 93-year-old Dr Mahathir Mohamad stepped into his prime ministerial shoes, he was sprinting all over the place. Even his deputy, and elected MPs, had trouble keeping up with him. His stamina reminds us of a person doing the marathon. His zeal for work and his work ethic are second to none. A pity that the menteri besars are less competent. 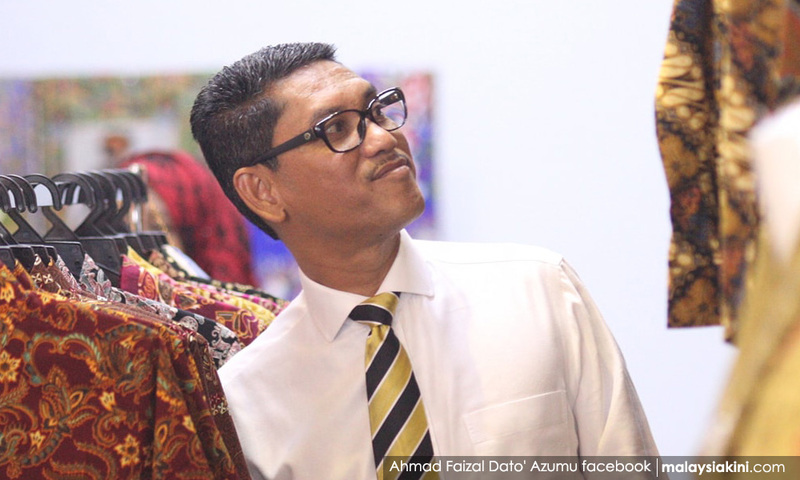 The appointment of the Perak MB has, from the beginning, been under a cloud. To be fair, it was alleged that he was a reluctant MB. We need a strong MB who will fight for the state, and not to enrich himself, as all too often has been the case in the past. The state needs firm handling, so that it may regain its former glory as the richest state on the peninsula. Perakians want a person who is committed, not a career politician. They do not want a compromise candidate. The MB's role is not to make buddies by not censuring those who cause trouble. The MB's main job is to turn around the state. Perak has many issues, from its economy to environmental degradation, from tackling corruption, to community relations. It needs a capable pair of hands to manage it, but the new MB has failed to deal with religious troublemakers from the outset.